The German arm of European legal group CMS, Hasche Sigle, has signed an agreement with legal AI pioneer Kira Systems for its contract review software. It is not known yet if Toronto-based Kira eventually will be used across the other members of the European network, which includes CMS Cameron McKenna, which is merging with fellow UK law firms Nabarro and IP/IT specialists Olswang. For now the deal is with CMS Hasche Sigle. Although Kira’s document analysis system has worked in foreign languages inside law firms before, it is understood that this is the first time they have contracted directly with a European law firm client that is working primarily in a non-English language, in this case German. CMS Hasche Sigle is a founding member of the international CMS Legal Services EEIG organisation of law firms, which is headquartered in Germany as well. The member firms, although very close in several operational and strategic areas, retain a degree of independence, in which case one firm using a certain type of AI provider does not automatically mean all other parts of the network will also use it, although that could be the case. CMS currently has 3,200 legal and tax advisers across 61 offices. ‘We believe that using artificial intelligence software will further enhance our legal services. By deploying Kira, we expect to be able to handle large quantities of data and due diligence processes better, faster and more efficiently,’ said Stefan Sieling, a partner at CMS in Germany and responsible for the firm’s knowledge management. ‘Personally, I find it incredible to see our system being used far beyond the English-language M&A deals we were focused on when we started the company back in January 2011,’ the CEO of Kira added. Waisberg also pointed out that ‘[we have] had multiple successes of users teaching our system to work themselves in Latin-script languages’ other than English, which was the starting point of the Canadian company. He noted that in addition to English and German, Kira had also been operating in French, Spanish, Danish and Catalan, among other languages. Proving that legal AI systems can overcome the language barrier is important for the growth of the AI market. The majority of legal AI companies started out working in English, but clearly, not all of the EU’s 500 million citizens and the multiple legal jurisdictions within it will use English for commercial contracts, nor too huge parts of the rest of the world. Having the ability to operate with relative ease in multiple languages therefore greatly increases the potential market for legal AI. It also allows more leading law firms to trial the technology and help give feedback that will in turn lead to new and further improvements in this market-changing legal technology. Embracing legal tech in general and Kira in particular is part of CMS’ digitisation strategy. Last year, the law firm began using HotDocs software, a tool for efficient drafting of high-quality contracts, and also introduced FPE, an award-winning client product for risk assessment around using external personnel. ‘Identifying typical clauses in a large number of contracts has always been a challenge for major law firms. 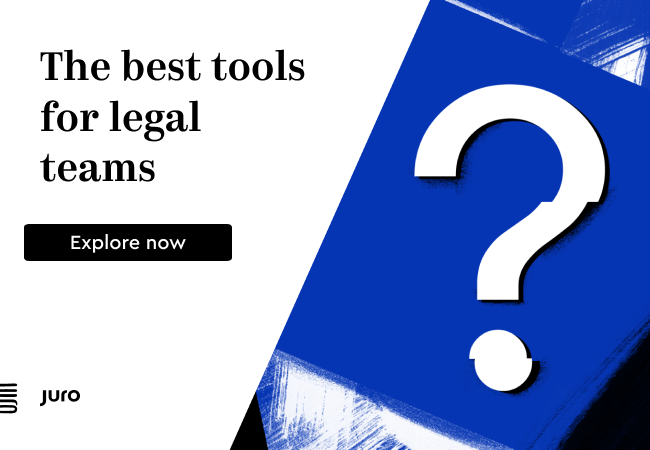 Machine learning technologies will enable us to provide our lawyers with new tools so they can use short timeframes even more effectively to focus on delivering legal excellence,’ said Dr Frederik Leenen, counsel and head of legal tech at CMS in Germany. Germany’s leading legal AI company is LEVERTON, which has built strong links with businesses there. However, for now the company is very much focused on real estate and the development of its ‘data core’ concept in partnership with German data giant, SAP. Also, last year UK-based RAVN opened an office in Amsterdam, Holland, showing that legal AI companies are increasingly looking to expand in Europe. CMS Cameron McKenna has also worked with RAVN’s technology and is listed as a client by the company. Kira already has several clients in the UK, although has not publicised a Continental Europe-based law firm client until now. It also is used by McCann FitzGerald in Ireland.